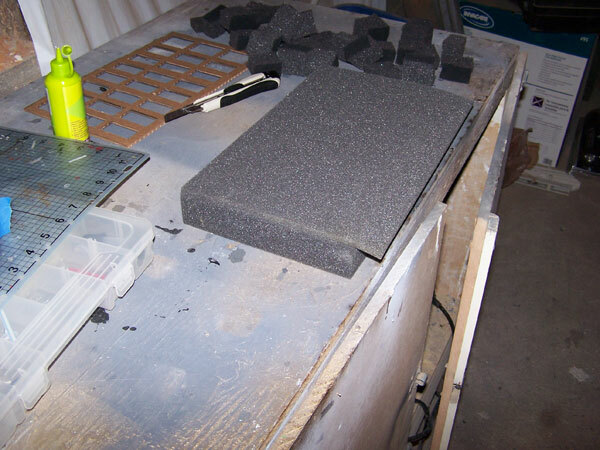 I’ve been making my own foam trays for a few years now, and they’ve held up really well. 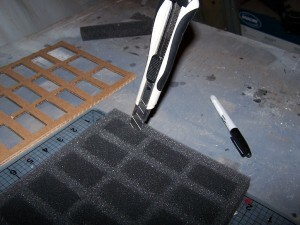 They’re really cheap to make too. 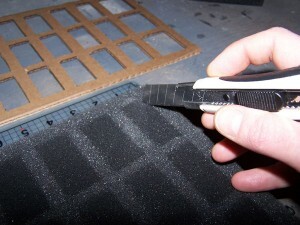 I can make a foam tray that fits in a Sabol case that’s 1.5″ thick for about $3 – $4 a tray. 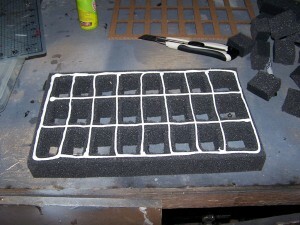 Around here a pluck and pull tray is about $9 or more. 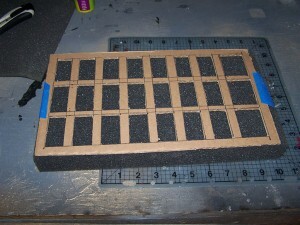 So, I make 3 trays for the cost of one pre-made one; can’t beat that! 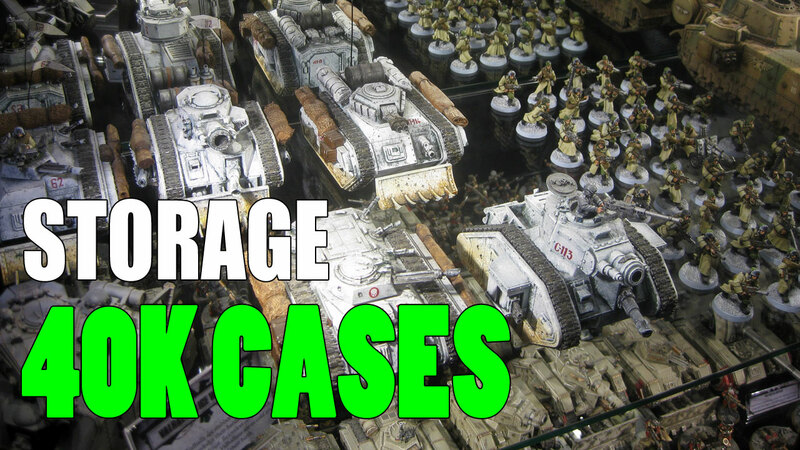 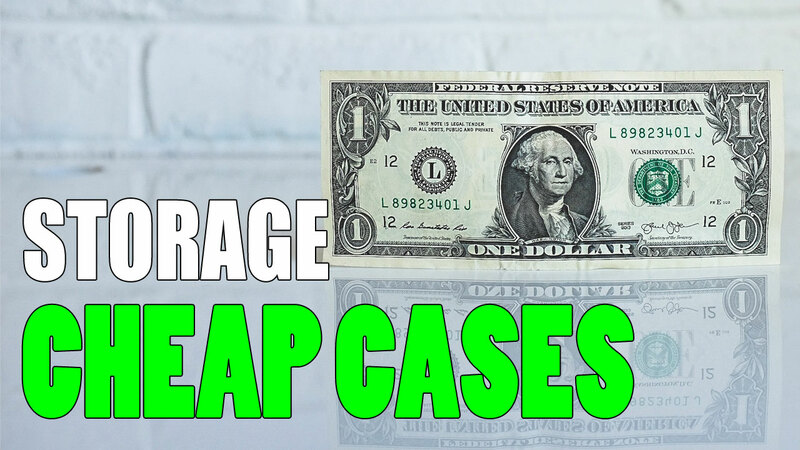 If you’re a 40K player, and looking for more ways to save cash, then I’ve got a great resource for just that on my other blog. 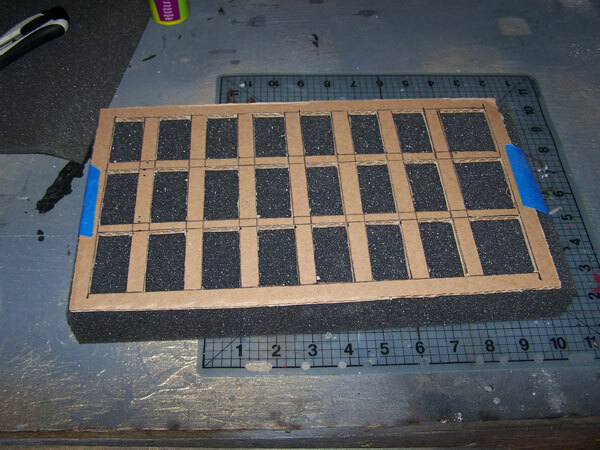 Question: once the foam tray is complete, what do you put it in? 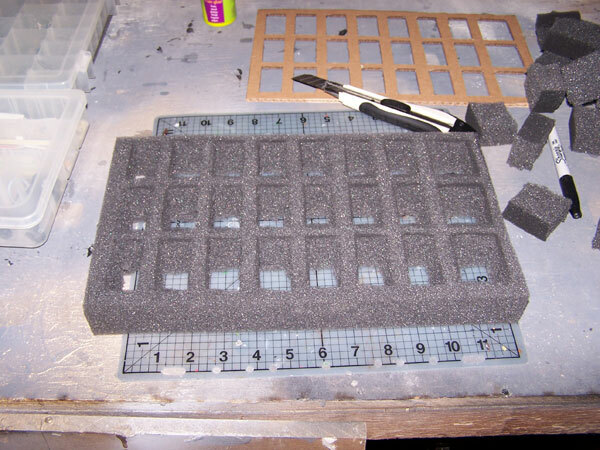 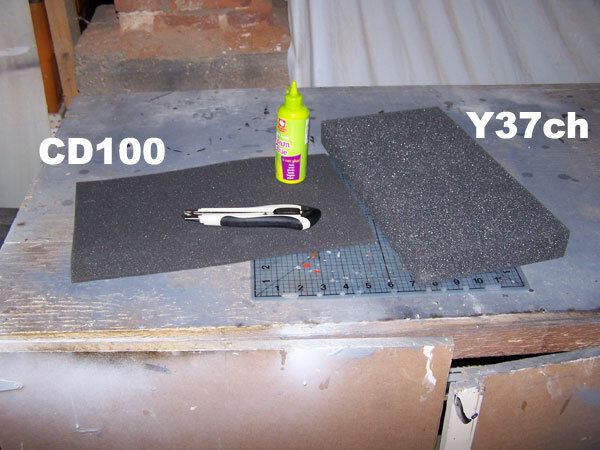 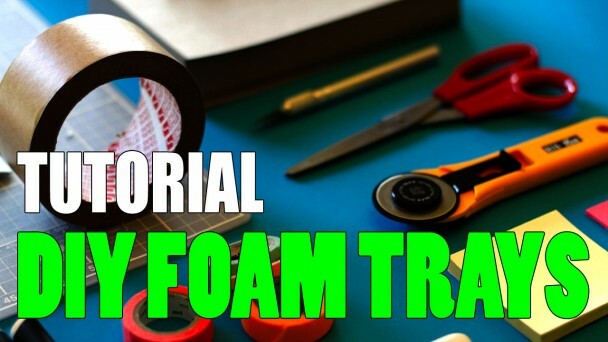 I don’t imagine that you only use foam and don’t put the whole assembly into some plastic container of some sort. 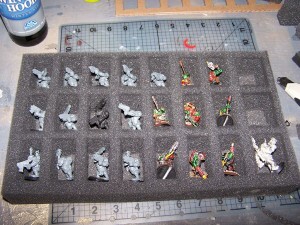 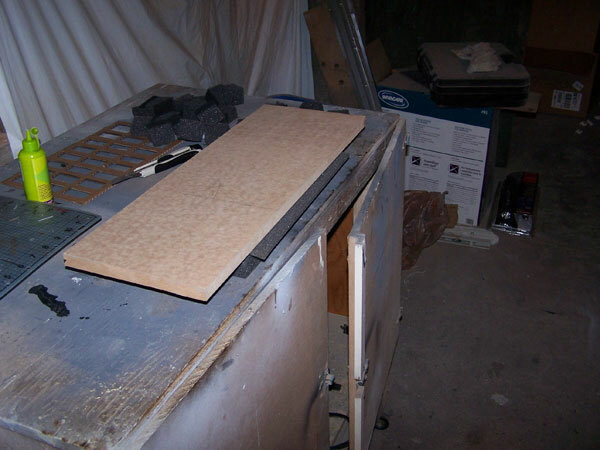 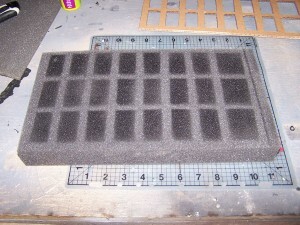 I can’t seem to find or think of a proper search term for empty storage for a foam tray such as this. 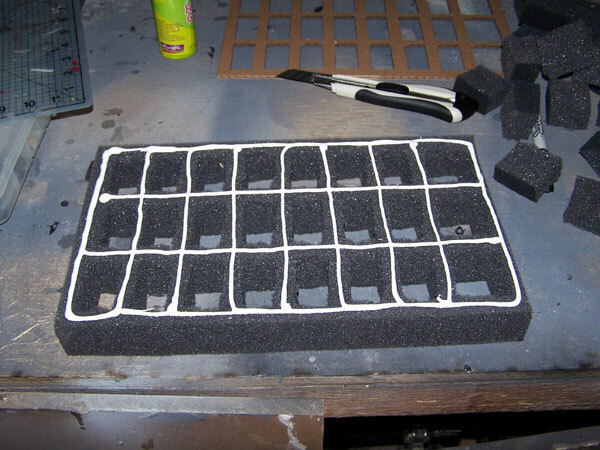 Of course, you could make these any size you want depending on what you need to put in them and the case you plan to put them in. 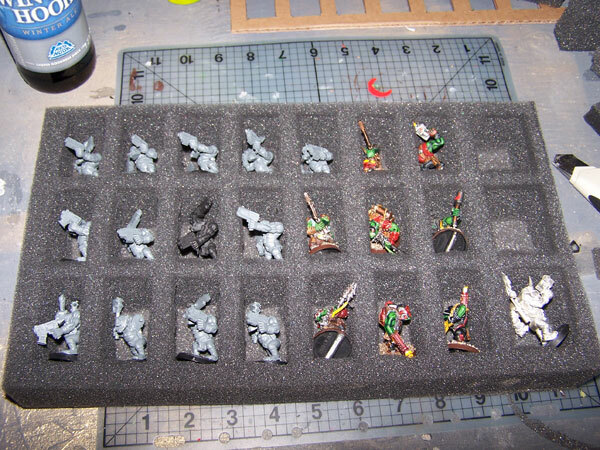 Oh, and the term you’re looking for is “miniature carrying case”.